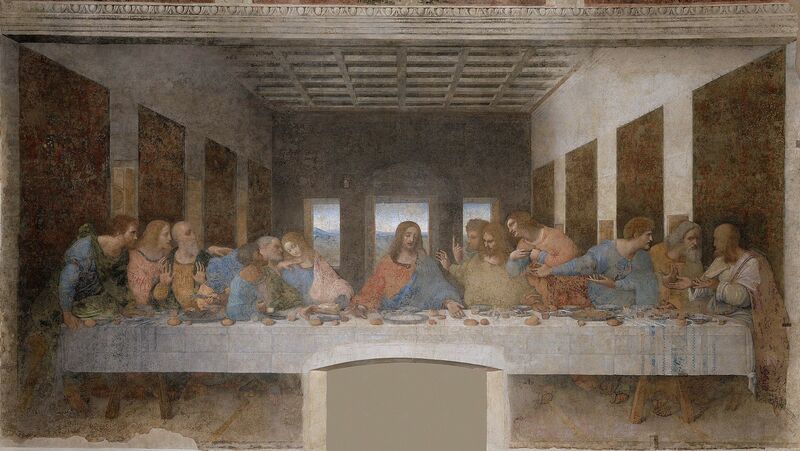 It has been displayed in art most famously by Leonardo De-Vinci It has been been used many times in our culture. It has been spoofed, mocked and parodied so many times in our culture that many when they hear the term The Last Supper their minds automatically go in that direction. On a side note this painting while it is a an amazing work of art, is completely fictional and inaccurate. Today I want us to discover the truth behind this amazing event in the scriptures. I want us to discover the significance of what Christ was teaching and doing with His disciples. Turn in your bibles to Mark 14:12-26. As you are finding that passage in Mark, it is important to note a few things. While this is only 14 verses, in Mark This would have covered many hours. Mark in his usual way is brief and to the point. He is not concerned with explaining a ton because he wants his reader to understand what is most important. This becomes challenging for us because without the context that His reader would have had, we often skip the point and miss the truths in this amazing passage. So we will explore a bit more of those pieces this morning and hopefully it will move our hearts and lives toward Him. As we said last week this was a special time in Jerusalem. It was the beginning of one of the 3 high holy celebrations for the nation of Israel. People would have been looking forward to this time for several months. They would have been preparing for the trip to Jerusalem to celebrate the passover and the Festival of Unleaven bread. There would have been a buzz in the city like no other. Scholars tell us that this would have been the 13th of Nissan, Thursday. Interestingly enough Josephus (a Jewish historian of Jesus’ time tells us that people from Galilee (northern Israel) would commonly have the passover meal on Thursday, while people from Jerusalem (southern Israel) would have the passover meal on Friday. This is significant because Jesus being our passover Lamb would be sacrificed exactly at the time of one of the prescribed days for sacrifice, but could also celebrate the passover with His disciples, in looking forward to what would happen not 24 hour later. Here is a truth for us to remember and trust in, “God’s timing is perfect.” He is always perfectly on time. In our lives we stress and worry, we think that God has forgotten us, we think we are on our own, that he has abandoned us. But the truth is HE is perfectly on time. He has every detail worked out, we simply need to trust in His timing and His plan. The disciples knew this and they look to Jesus and ask Him where do we go to make preparations for the meal. They know Jesus has a plan. If we read quickly we would miss this, we would not think anything strange of this verse but in Jesus’ day this would have been a strange sight. This is Father’s Day and I think it is appropriate to talk about how we as men are called to be Servant Leaders in our homes. I don’t want to make too big a deal about something so small in scripture but I think it is significant that we see Jesus use a man who is doing something that in Jesus’ day would have been seen as womens work. You see you would not find men walking around in Jerusalem carrying water pots. That was something that would have been “beneath them” to do. But Jesus use this specific picture to remind us that being a servant who does whatever is asked upon them places you in the position to be used and recognized by God. Men we are called to serve our wives and to love them as Christ loved the church. How did He do that? By sacrificing everything to give her the opportunity to be pure spotless and used by God. That is is the measure of a man in the Bible. This was no ordinary house, Jesus has providentially led them to a house where all the preparations are made. Personally I think this was Mark’s house, in fact, he might have been the man carrying the water jar. Let me put the pieces in place. 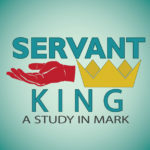 We know that Mark’s mother (Mary) was a wealthy women in Jerusalem. We see in the book of Acts that the house of Mark’s mother was used as a meeting place in Jerusalem for the early church. It had a large upper room that was used for meeting. Could this be the same place? It is likely. Also we will see next week am interesting tie in that also make us suspect that this is indeed Mark’s very own house. Either way it is a place that Jesus has already made sure is prepared for their meeting that night. Once again we can trust in the timing and preparation of God for everything we need. Jesus said it, and it was just what He said. This is where we see the painting start off the wrong way. First they are not sitting up at a table in chairs. They are reclining on a low table. Eating together. On a side note: Just before this meal Jesus would have famously taken up a jar of water, (possibly the one carried in by the young man) and washed the feet of His disciples. Based on Jewish law and tradition, those who observed Jesus’ last celebration of the Passover reclined around a low, long oval table. Each person would be lying on their left side and leaning on their left arm, with their feet behind them and their heads facing the table. This would mean that all those located on the left side of the table would have the front of their bodies somewhat facing the end of the table. Each of the disciples had a pillow to place under their left arm. This eating position during a meal like supper allowed the right arm to be free to use for eating. Scripture tells us that John would have been sitting on Jesus’ right and Judas on His left. We talk about this several weeks ago but these would have been the seats of honor. John would have been leaning toward Jesus, and Jesus’ would have been leaning toward Judas. I love this image because even in it’s placement Jesus is leaning toward the one who would ultimately betray Him. Jesus is not frightened away by our sin instead he leans in to us. He is a friend to sinners. He longs for a relationship with us even when we pull away from Him. When Jesus reveals that one of them is about to betray Him, each of them ask the question we all must ask, Could it be me? Ultimately, we know that Jesus was talking about Judas, but truly everyone of them would betray Him before the night was over. All of them would run away and hide. And even the most bold of them would deny Him 3 times. We all have the potential to betray Him. Interestingly Jesus says it is one of the twelve. Which means that the gathering was probably not just the twelve disciples. In fact if this room is the same upper room as the one mentioned at Pentecost there were 120 people in that room. So there could have been many people there. No one suspected Judas. Here is another truth: What is hidden from men is never hidden from God. He knows it all. He knew that Judas would be the one who would betray Him but He still loves Him anyway. This is a scary statement that Jesus makes but it underscores the importance of having a relationship with Jesus that is true and honest. While each of us are separated from God by our sins we each have the opportunity to be reconciled to God through Jesus. Judas never had that chance instead he chose to walk away and in despondency killed himself. I truly believe if he had not done that if he had not made that horrible choice and instead had come to Jesus after His resurrection, Jesus would have forgiven Him and restored him. As long as you are alive it is never too late to come to Him and seek forgiveness. Now before we go any further I want to have our men come up and lets take communion as an interactive event in our lesson today. I am going to ask that we distribute the elements and we will take them when we talk about each of them. For some background it is important to understand that this meal that they were taking was the passover meal. If you have never done a passover Seder let me encourage you. Next year Passover and Easter will fall on the same weekend, I propose that we do a passover Seder here. We will step through the whole thing. It will be an experience you will not forget. Breifly lets walk through some of the essential elements that would have existed in the passover meal. There was the lamb, to remind them of how their houses had been protected by the badge of blood when the angel of death passed through Egypt. There was a bowl of salt water, to remind them of the tears they had shed in Egypt and of the waters of the Red Sea through which they had miraculously passed to safety. There was a collection of bitter herbs–horse radish, chicory, endive, lettuce, horehound–to remind them of the bitterness of slavery in Egypt. There was a paste called Charosheth, a mixture of apples, dates, pomegranates and nuts, to remind them of the clay of which they had made bricks in Egypt. Through it there were sticks of cinnamon to remind them of the straw with which the bricks had been made. There was the unleavened bread to remind them of the bread they had eaten in haste when they escaped from slavery. There were four cups of wine. The cups contained a little more than half a pint of wine, but three parts of wine were mixed with two of water. As we begin we will look at the Bread. In a Seder there are 3 loaves of bread, stacked on each other. The middle one is given a special name. It is called the afikomen, it is broken before the Passover meal. Part of it is wrapped in a cloth and hidden. At the end of the meal it is brought back, distributed to the participants and eaten as the final morsel. After dinner, the tradition turns into a fun game for the children who search for the afikomen and are rewarded when they find it. The bread is then broken and distributed among the participants who all eat it together. This is practiced in all Jewish homes that do a traditional passover. This was part of the practice of Rabbi Hillel (who was most active between 30 BC-10AD) So it is possible that Jesus was familiar with this very practice in His day. With this in mind read verse 22. Jesus was telling them that He was the “coming one” He was the fulfillment of all of the traditions, prophecies and scriptures. What an amazing gift He gives to us. So as we eat the bread Give thanks to him who took our sins in His flesh. Take and eat. 23 Then he took a cup, and when he had given thanks, he gave it to them, and they all drank from it. 24 “This is my blood of the covenant, which is poured out for many,” he said to them. I will take you to me for a people, and I will be your God. The cup that Jesus is referring to here is the third cup. The cup of redemption! Redemption is a finalcial term used of paying off a debt. Scripture says the Wages (or payment) of sin is death. Jesus took the payment for our betrayal, Jesus paid the price of our sin. He took it willingly. And in exchange did not Just pay our debt but gave us His righteousness. He didn’t just pay it off and say you are on your own but instead He made a new covenant with us. He gave us new life and gives us His righteousness to live in through the power of the Holy Spirit that dwells in us. I will redeem you with an OUTSTRETCHED ARM. He reaches to us because we cannot come to Him. The amazing thing about this new covenant is it is not dependent upon us. The old covenant was a two way covenant, that each party held their end then all was good. But the new covenant is based on Jesus alone. Hebrews 7:22 says Because of this oath, Jesus has become the guarantor of a better covenant. Oh what a savior isn’t he wonderful. Take the cup and give thanks to all He has done. Notice He stops with the 3rd cup and tells them he will not take the 4th cup until the Kingdom has come. Jesus is coming again. We are to be watchful and worshiping until that day.